The 1996 Summer Olympic Games changed Atlanta forever. When the Olympic Committee picked the Georgia city to host more than 10,000 world-class athletes, $2 billion in construction projects and $100 million in hotel renovations followed. A 21-acre complex revamped a blighted area, transforming it into a cornerstone of the community. Developers seized the opportunity and sparked projects that would fuel the city’s rebirth for many years. Today, its economy is sixth in the nation, and the Greater Atlanta region has grown by two million people since the Games left town. One of those two million is Javier Galeano, managing partner of a full-service certified public accountant (CPA) firm known as Galeano, Li, Lei, & Villegas CPA LLC. Galeano took a job as an auditor and noticed a trend that would sustain his career. “I realized that the Hispanic community lacked a professional, client-driven CPA firm,” he says. Galeano set out to change that. He integrated himself in the community by participating in various leadership programs, including the Gwinnett County leadership academy, the Small Business Administration’s SCORE program, and the Georgia Society of CPAs Academy. “I became convinced that the Hispanic community was underserved and went full-throttle in creating a top firm with Hispanic business owners in mind,” he explains. A large percentage of the Hispanic population in Atlanta came to Georgia almost a decade ago to capitalize on the Olympics, and the demographic continues to increase statewide. Today, Latinos constitute almost one-tenth of Georgia’s population. By 2017, close to 1.5 million Hispanics will reside in the Peach State. “With the growth and diversity, there are plenty of opportunities to start businesses that cater to specific groups,” says Galeano. He’s helping small and medium-sized clients maximize their potential through outreach and education. As a board member of the Latin American Chamber of Commerce and the Georgia Hispanic Construction Association, Galeano helps bring classes, networking events, and seminars to the area. The meetings give Hispanic business owners a chance to interact with officials from the IRS, The Department of Revenue, the Department of Labor, and other entities. “We make Hispanic entrepreneurs aware of what they need to do as employers, how to keep thorough records, and how to take advantage of deductions,” Galeano explains. 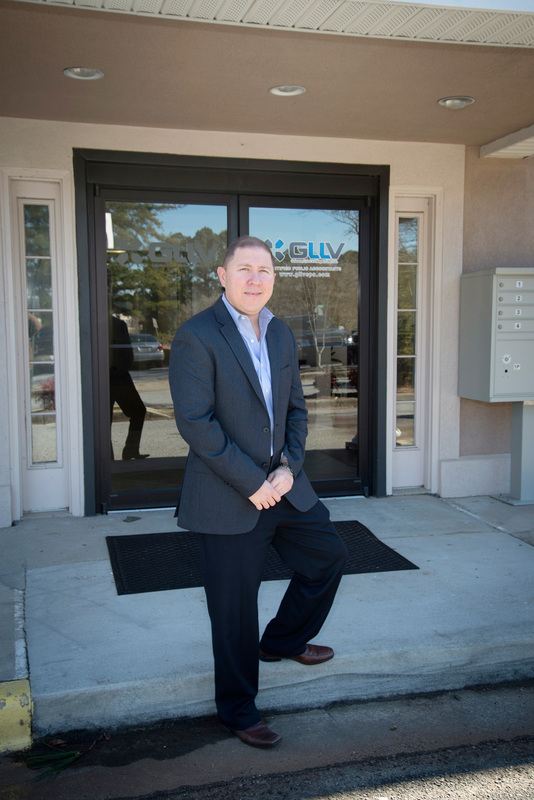 His firm is also the first Spanish-speaking CPA firm in Atlanta. “People prefer to speak to their doctor and accountant in their first language,” he explains. Almost 20 years after The Olympics, many sectors are still flourishing in Atlanta. Technology, a field that provided 85,000 jobs and spiked almost 10 percent over a recent three-year period, is booming. Georgia boasts 13,000 technology companies and major headquarters such as those of CNN, IBM, AT&T, Delta Airlines, and BellSouth. The Bureau of Labor Statistics predicts the metro area will expand by 1.8 million new jobs in the next 11 years. That means a lot of business for Galeano, Li, Lei, & Villegas. Already, the firm has developed and used its niche expertise to capture business throughout the country and now has clients in more than 15 states. Another strength lies in Galeano, Li, Lei, & Villegas’s unique ability to help Latin American companies set up shop in the United Sates. In 2011, the firm opened an office in Colombia to support the growth of that practice. Their goal? To become a nationwide CPA firm that combines unparalleled customer experiences with exceptional technical expertise.